Get Real With New Years Resolutions!! Make Them Challenges!!! Get Real With Yourself!!! New Years Resolution or Challenge?? I have seen so many people talk about New Years Resolutions and how some wont make them and some will. Well it’s natural to come into the New Year with goals that you are diligently working towards however, I do not think that people really understand the difference between a resolution and a challenge! A Challenge is a call to take part in a contest or competition! A Resolution is a firm decision to do or not to do something. So what’s it going to be? A Challenge??? A call to take part in a contest or competition that will in the end give you the win? Whether that win be weight loss, paying off debt, getting your family healthier, or going to church twice a week. Will it be a resolution??? a firm decision to do something or not to do something? My advice for making your 2014 New Years Challenges happen for you is to first of all grab a pen and piece of paper and write them down! Put a poster board, white board, or write it on your bathroom window! Make sure your goals are visible to you EVERY morning when you wake up and get out of the bed! This will hold you accountable daily! You need to see what you are not doing…. Now don’t beat yourself up over it if you have failed at a few along the way, but be sure to always try to accomplish them on a daily basis. If your goals are visible to you every day and you are reminded then you may just succeed in 2014! You can also call a trusted friend and tell her you want to give her a list of your long term and short term goals and you would like for her to call you out on them! For example if one of your New Year’s Challenges is eat healthier, before you go do your Saturday grocery shopping she can call her and remind you of what your goals where so that you don’t sneak a box of Debbie Cakes or a pint of ice cream. The other thing that I feel is very important about New Year’s Challenges is to make them obtainable. Do not make goals that are way beyond your reach because you will end up failing and just throwing your hands up on it all and walking away! I have seen it time and time again “I am a size 20 in January and I want to be a size 5 by March!” This will probably not happen and if it does this is not healthy….Make your goals reachable! 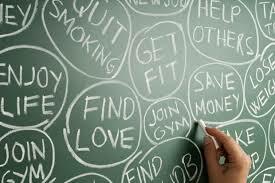 Do not let the vicious cycle continue of making NEW YEARS RESOLUTIONS that you just don’t stick with! Make your New Years Challenges happen by preparation, perseverance, and accountability! Do not be afraid to set up short term and long term goals. Weekly, monthly, quarterly, and then the YEAR goal! This will help you obtain your goals and make it easier to break them down where they are easily obtainable! 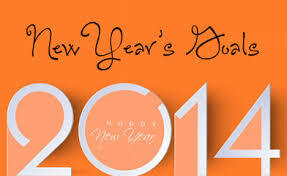 It’s in essence giving you a road map to your success in 2014!